Jesus Before the Gospels (New York: HarperONe, 2016, ISBN 978-06-228520-1). 326 pp. Hardcover, $27.99. For evangelical apologists, the search for the historical Jesus centers often on the existence of supposed witnesses very close to, or from within, his actual lifetime. Accordingly, we supposedly can trust those sources because memories would be fresh and uncorrupted. Bart Ehrman, who is one of the best-selling biblical scholars of all time, provides a cogent challenge to those who equate contemporaneity with a reliable memory. Just because someone witnesses an event or hears someone speak does not mean that any corresponding memory remains unmodified when that “witness” relates or writes his or her account. That is just as true today as it was two thousand years ago. In fact, memory is very friable. The brain is constantly adding and subtracting material. As he remarks when summarizing the work of British psychologist F. C. Bartlett: “...when we experience something, bits and pieces of its memory are storied [sic] in different parts of the brain...To complete the memory we unconsciously fill in the gaps” (134). Ehrman adduces a wide variety of evidence to prove his point in eight chapters. These include psychological experiments and anthropological fieldwork. In Chapter One, Ehrman introduces the reader to the history of research on memory. It usefully includes a discussion of the different types of memory that have been identified in scholarship. For example, some scholars posit a distinction between semantic/factual memory (e.g., the capital of the United States is in Washington, DC), and procedural memory, which centers on how to do something. Chapter Two focuses on “The History of Invention,” or how people will invent stories that they then believe are accurate memories. This chapter challenges the fieldwork performed by Kenneth Bailey, who claimed to have collected examples of the accurate preservations of memories in some Middle Eastern villages. Bailey used these as analogies to propose a reliable mechanism that might have preserved Jesus traditions accurately in the first century. Explorations of the supposed “eyewitness” accounts in the Gospels constitute Chapter Three. Here, Ehrman effectively debunks Richard Bauckham’s Jesus and the Eyewitnesses: The Gospels as Eyewitness Testimony (2008), which is one of the most prominent defenses today of the reliability of eyewitness testimony about Jesus. The distorted memories of the death and life of Jesus are the subject of Chapters Four and Five, respectively. Ehrman lists a number of episodes that are “distorted” memories, including the famed Barabbas episode and the episode suggesting that Jesus shut down temple operations (166). “Collective memory,” the main concern of Chapter Six, refers to memories affected by a social context. Ehrman follows the French philosopher Maurice Halbwachs (1877-1945), who coined that term, in affirming that “there is no such thing as memory outside of a social context” (230). The Gospel of Mark, which is regarded as the earliest gospel, is the special concern of this chapter. “The Kaleidoscopic Memories of Jesus: John, Thomas, and a Range of Others,” the title of Chapter Seven, explores non-canonical gospels and other sources (e.g., Paul, the hypothetical source called Q) that may preserve authentic memories. Chapter Eight is the conclusion to the book. The book is at its best when it specifically refutes claims about how reliable specific memories of Jesus would be. Debunking the reliability of supposed eyewitnesses to Jesus’ life is where Ehrman shines. His command of the fields of textual criticism and early Christian history are in clear evidence. Nonetheless, I believe there are some fundamental problems that need to be addressed with Ehrman’s entire argument. In most or all of the modern scientific experiments of memory to which Ehrman refers, the “original” source of the memory is extant or well-documented. That source can be compared easily to claimed recollections. Let’s suppose we write a certain sequence of numbers and later test the memory of different individuals. We can evaluate the accuracy of the recollection because the original string of numbers is still extant and verifiable. If we have video of an event that we ask experimental subjects to remember, we can directly verify the accuracy of the memory with the video. However, the “original” source is precisely what we do not have in the case of Jesus. Thus, we have no way to compare or evaluate any remaining “memory” if we do not have that original source of any supposed memory. What Ehrman ends up doing is akin to looking at about a dozen of the earliest paintings of Jesus, and then declaring that a particular painting best matches a “memory” of Jesus’ appearance. Obviously, without the “original” Jesus we cannot say if any painting matches Jesus’ true appearance. We may be able to eliminate paintings that probably do not match Jesus (e.g., if the painting looks like Donald J. Trump in a three-piece suit), but we could never really verify that any depiction of Jesus matches the original Jesus. The same applies to narratives, which can be considered paintings in words. That is why we also cannot speak of the “gist” of any memory of Jesus. 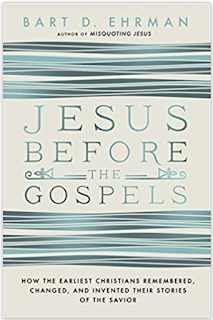 Ehrman says that “there are gist memories of Jesus recorded in the New Testament that are almost certainly accurate” (144). But how can we possibly know the “gist” of any memory about Jesus if we don’t have access to the “original” Jesus to which we can compare the supposed memory? 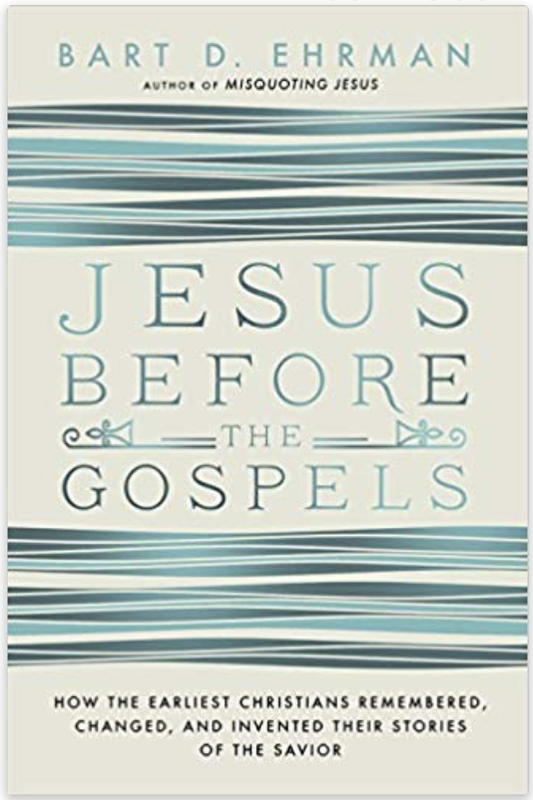 Ehrman also says “[n]early all critical scholars would agree that some gist memories of Jesus’ last week, as recorded in the Gospels, are almost certainly accurate” (148). One of these gist memories is that “Jesus was immediately taken off and crucified, along with two other criminals” (149; see Matthew 27:38; Luke 23:32–43). There may be some plausible reasons to believe Source X, but memory studies really will not help establish the accuracy of the claims he lists. In fact, the list is pretty much the same one he has given in previous books that did not emphasize memory studies. I can also adduce reasons why being crucified alongside two criminals may not be an accurate gist memory. For example, what if the Gospel writers inserted that part of the story to make Jesus fulfill the “prophecy” in Isaiah 53:12 that the Suffering Servant figure in that chapter “was numbered with the transgressors” (Revised Standard Version). One also must remember that this claim is in manuscripts of the Gospels that date no earlier than the third century CE. Therefore, I don’t know how Ehrman or any New Testament scholar determined what narrative features had been added or removed from any tradition about Jesus’ crucifixion, which is supposed to have taken place around the year 30 CE. How do we evaluate the accuracy of a source extant some 200-300 years later when it comes to how many criminals were crucified alongside Jesus, if the latter was crucified at all? I am not convinced by the insistence that we can date the narratives, especially those identified by Ehrman as preserving accurate memories, to the actual time of Jesus. We may be able to date some claims in the Gospels before or after the year 70 CE, depending on attitudes toward the Jewish temple that was destroyed in that year by the Romans. But whether Jesus was crucified with two other criminals (not 4 or 5 or not zero), is not something whose accuracy can be determined by any memory study or by any other written record that Ehrman cites from around the year 30 CE. In the end, we retain virtually the same list of historical claims deemed accurate by Ehrman before any emphasis on memory studies. Memory studies did not change anything on Ehrman’s list, and it is the standard tools of historical criticism that are behind all the judgments of accuracy in the list. My criticism is not to deny that scientific studies of memory do have great value. The main value is to challenge and undermine the previous confidence that Christian apologists had in trying to convince us of the reliability of eyewitness testimony behind the Gospels. That is the main reason why I do recommend Ehrman’s book as important for both skeptics and believers. NOTE: This review is published with permission from Free Inquiry 39, no. 1 (December 2018/January 2019), pages 60-61.